The Floor Plans Solution from the Building Plans area of ConceptDraw Solution Park provides templates, samples and libraries with large quantity of vector objects that will help you to create the building plans of any difficulty easy and quick. Floor plans solution contain 12 libraries with 666 vector shapes for creating professional looking pool table for floor plans. Pic 2. 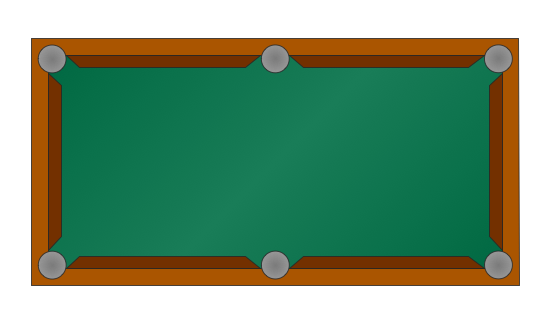 Symbol for pool table for floor plans. 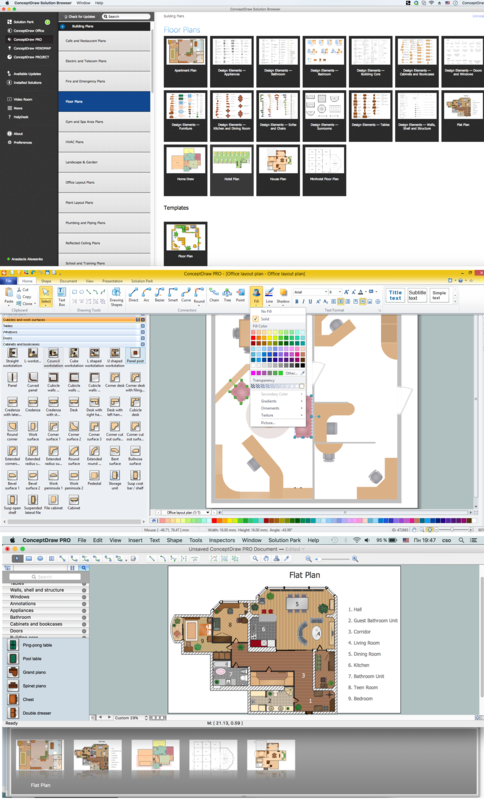 ConceptDraw DIAGRAM v12 diagramming and vector drawing software extended with Gym and Spa Area Plans solution from Building Plans area of ConceptDraw Solution Park is the best for simple and fast drawing the Fitness Plans.